Water bottle filling stations at WIU have diverted one million plastic bottles from the landfill since they began being installed in 2014. 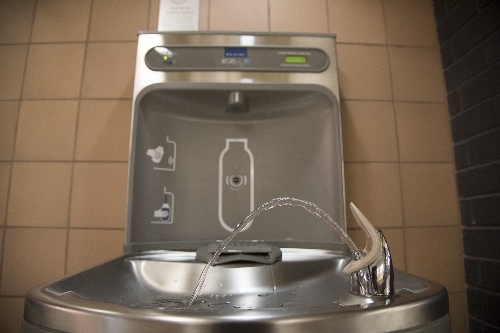 MACOMB/MOLINE, IL – Since Western Illinois University began installing filtered water bottle refilling stations on its two campuses in 2013, the effort has diverted more than one million plastic bottles from local landfills. Interim Facilities Management Director Troy Rhoads said the University currently has 36 filling stations in campus buildings: 26 on the Macomb campus and 10 on the Quad Cities campus. The first 20 stations were added by the end of Spring 2014 as part of the University's sustainability efforts. They were purchased with part of a grant the University received to boost campus sustainability. 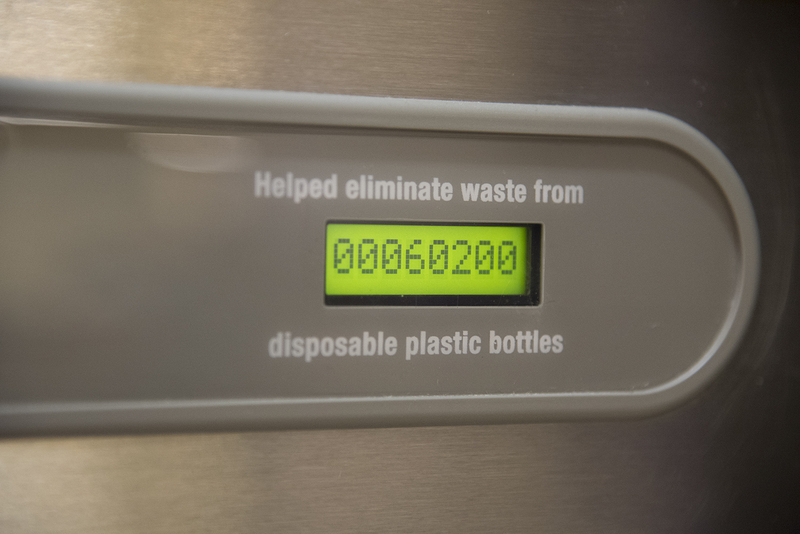 Each of the water fountains has a counter on it, which shows how many 20 ounce bottles are conserved each time water is dispensed. Last month, employees at the Malpass Library noticed the counter on the fountain in that building topped 100,000 bottles. A check of all 36 fountains indicated the total bottles saved University-wide is approximately 1.09 million. "We would like to thank those who have contributed to this effort," said Rhoads. "We look forward to more sustainability projects as we do our part to improve our environmental impact." 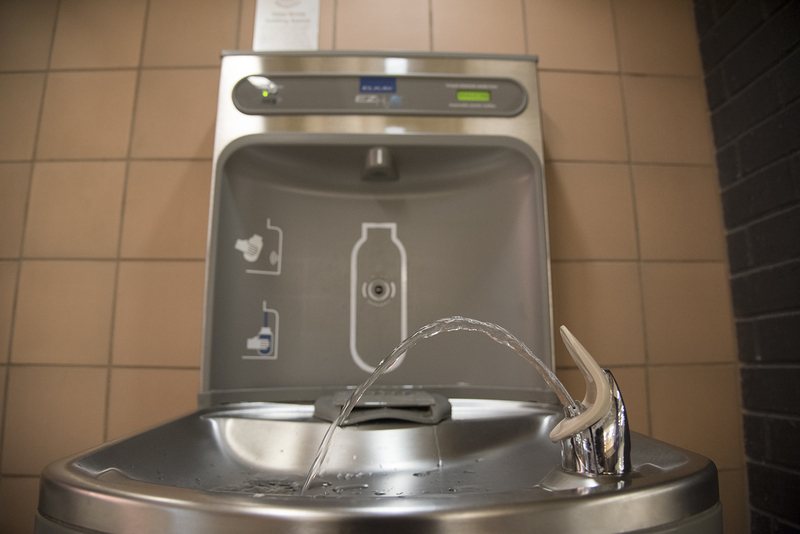 The fountains accommodate bottles or cups of most sizes and are located in academic and administration buildings and the University Union. The fountains' filtering system also removes additives, such as chlorine. For more information on the refilling stations, or to see a list of locations, visit wiu.edu/sustainability.